Hi Luca, I’m Tarja, a warm welcome to Metal Shock Finland! … to start, how’re you doing today? Hi dear Tarja, a warm welcome to You as well, I’m doing fine, thanx! Kinda relaxing now writing to you, after some good working with the band. How and at what age you found the music? and can you tell us about your first band-experiences? Well, I remember several funny episodes in my life regarding the way I got into Music, especially into Hard Rock music. My big brother was really a maniac in listening to songs from Deep Purple, Led Zeppelin and many more of the genre when he was just a young kid… You can imagine the volume in the room! I started to be obsessed but then soon addicted by Hard’n’Heavy bands since when I was 8 yrs. I bought my first Drums when I was 14, could not stop driving myself on that way from there on. My first band was called Rising, name inspired by the Raimbow’s abum “Rising”, it was formed on 1983, playing covers and original stuff too. 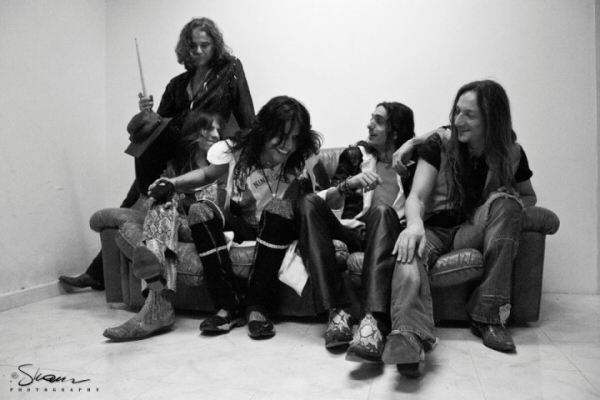 In 1997 you formed Eurosmith, which is the first running Aerosmith Tribute band in Italy… and nowadays you’re one of the most requested Tribute band all over Italy and Europe… England, Ireland, Sweden, Germany, Hungary, Switzerland, Austria… besides this we’ve seen you performing often and with great success in the most famous live rock clubs, open air shows and rock festivals. But what about the future, what plans do you have with Eurosmith? I’m very glad you could have been a part of the audience several times at our live-acts, tellin’ me now your kind words, it’s an honour for us. Actually we enjoy playing together, the most important thing is to know that everyone in the band is a fan of Aerosmith, things are cool and natural when you work together with a certain spirit. All in all we like to enjoy all it’s possible to share with this band, never know where we can wharf to play…It is fascinating a lot. Eurosmith has given life also to the “Aero-Meeting” in 2003, the Italian event for everyone who loves Aerosmith… tell us about this experience. 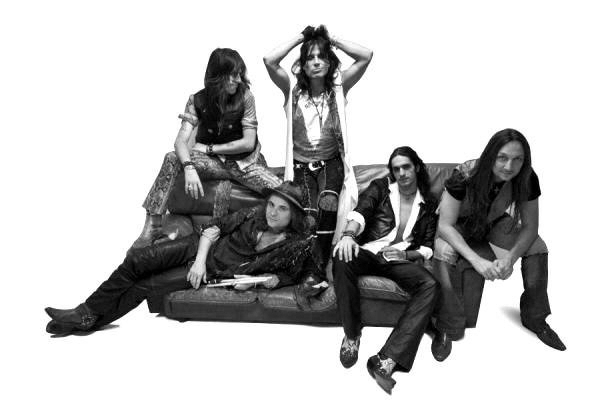 In that period of time I was also playing in an english Aerosmith tribute band and at the same time I was performing with Eurosmith as well…I used to live in London and got very often to Camden town to search for unpublished dvd or videotapes, especially regarding Aerosmith. 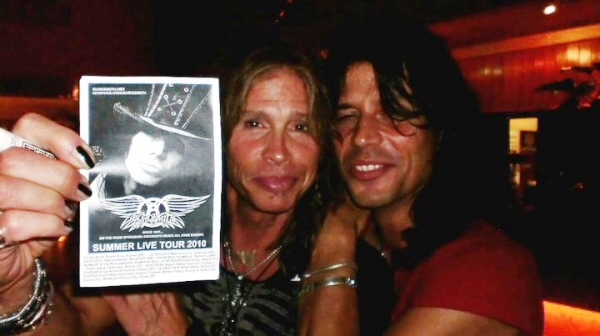 My idea was to propose a special night to the Aero fans all over Italy, for a meeting together, exchanging and showing Aerosmith memorabilia, showing amatorial unpublished Aerosmith live concerts in occasion of an Eurosmith concert where also took part several musicians gettin’ on stage as guests, performing Aerosmith songs together with the band. It was just brilliant! The Aero-meeting was repeated in Milan on 2004 and then in Rome again on 2006. You’ve met Steven Taylor several times… what would you like to share with us about those moments? 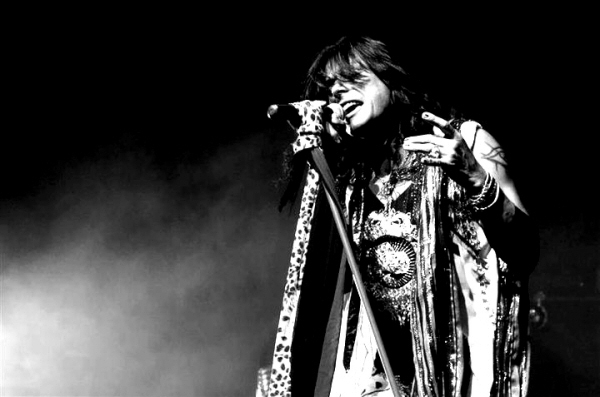 The Show was delirious, Aerosmith started with the same three songs we Eurosmith used to start our concerts, Eat the rich was the opening… Steven showed us he was wearing the bracelets we previously exchanged to eachother…Incredible man, so real so cool, so sensitive and generous! On the song Fallin’ in love Steven came towards me and miss Marinella Carraro who was beside of me, he came singing and I found myself close to him singing few lines of the song together with him at the same microphone… In the meantime of the concert I got his harmonica in “C” as a present…Magic moments to remember and to tell! The second time I met Steven was on 2001 march 23th in Munich, Germany, for their meet and greet dedicated to the new album “Just push play”. 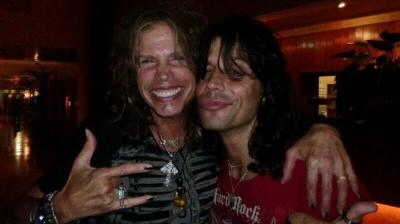 It was very difficult to meet Steven this time ’cause of some kinda of squalid event between me and a supposed friend I was helping while he was trying to solve a critical situation with many fans from Italy who had the invite and the hope to meet Aerosmith personally…I will probably speak about this story in another moment, in a different contest. Anyway in the end good luck did not let me down, I passed over the security and I could spend few words again with Steven. I could give him a present for his very close birthday and told him that I organized a show at the Hard Rock Cafè of Rome on march 26th, right to celebrate his birthday with our performance. A lucky picture taken by an unknown guy is a testimonial of the moment when Steven holds the poster dedicated to the event. Unfortunately I had not the chance to meet the rest of the band in that occasion. One curious question… and I’m sure I’m not the first one to ask this … but your resemblance with Steven is really breathtaking, and so is your voice. Were you born like this or what? 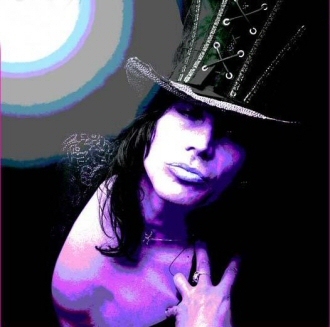 …and do you think that this fact led you somehow to do the tribute for Aerosmith? Since the beginning I tryed to sing the Aerosmith tunes by the way they are so beautiful…I could not resist so long time improving and performing if only because of the looking alik. Let’s talk now about your rock/hardrock based solo project LaceBlack…December 2008 was released a mini-cd with three songs… How the things are proceeding today? Can you tell me something about how your new song sees the daylight? From where do you take your influences and ideas? What has been, so far, the best act or event where you’ve performed? Sanremo Off was one of the most emotional stage for a certain gig, when I sang Aerosmith and I also had the chance to sing some LaceBlack songs as the first time, in front of a great big audience, when I had then the opportunity to know and to speak about this with someone special right after the gig. Besides Eurosmith and LaceBlack, I guess you’re involved also in other projects… what would you like to reveal us about them? How do you see the Italian underground scenes, comparing them to Europian ones? Italians are very much talented people, I think the difference between Italy and the rest of Europe comes from the structures and the kind of approach of the important local labels towards what’s considered “new”…But music business is now changed by the rise of certain media in the whole world, we all know that. Very difficult…it’ s like the snake biting it’s own tail. It needs a solution! What advices would you give to the newcomer bands? Be yourself, strong, brave and enjoy!!! Talking about the future, where do you see yourself in 5 years from now? and what are your dreams you’d still like to realize? Good question…sorry, I have not idea. For the moment I’d like to complete for good what I started. My album it’s a good point where to dock in at the moment… a good port where to sail from again. The last question, a rite… what are your greetings to those who will read this interview? You know, there’s life after life…Living Life is feeling and it’s a mirror too…One is all and All is One…Love is life!! !